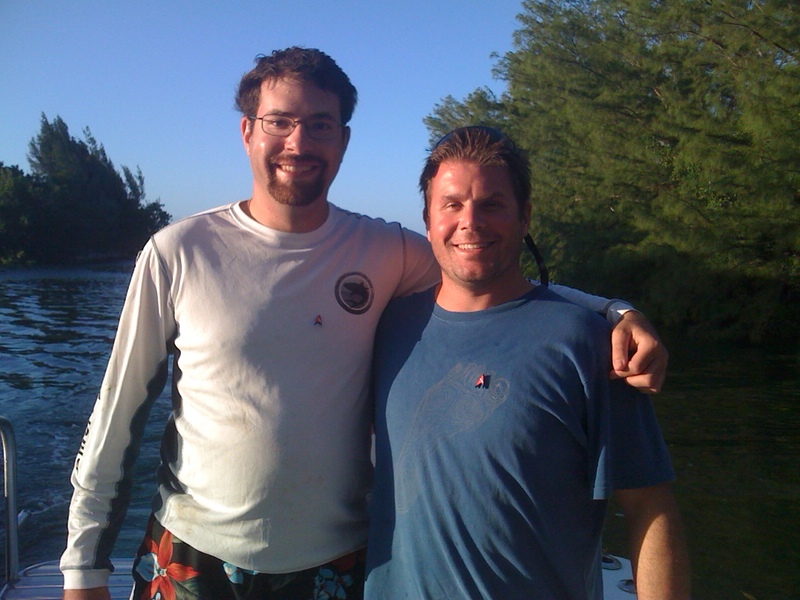 WhySharksMatter and Rod Roddenberry. Yes, we are both wearing Star Trek communicator pins painted as dive flags. In addition to organizing SCUBA trips and “beaming down” into the oceans, the Roddenberry Dive Team works with scientists and conservationists to educate their members about the oceans and to organize events like underwater and coastal cleanups. You can help by joining the Roddenberry Dive Team, participating in discussions on their online forums, or purchasing RDT gear. You can also follow them on Twitter. Want to help save the oceans? Make it so! *Savvy Trek nerds will note that this is the mission from “The Next Generation”. The original series said “where no MAN has gone before”. Diving and Star Trek fan. Love the Star Trek/Scuba combination you’ve done in the logo. Will tweet your article. Good stuff, combining Star Trek and diving. One note, NASA did not pay tribute to Star Trek when naming the first Space Shuttle. They were, at least, paying tribute to the long list of US Navy ships bearing that name and quite possibly they were paying tribute to the British and even French ships of the same name. Wikipedia’s Starship Enterprise page offers a quick history of this.